Silver ion technology which kills bad bacteria that causes nasty odours. Features pressure absorbing orthopaedic foam and quilted sleep surface for extra comfort. Easy carry handle for transportation. Guaranteed up to 50 washes. Machine washable for your convenience. Small: 90cm x 60cm x 9cm. Suitable for smaller dogs such as: Toy Poodle, Cavalier King Charles, Jack Russel, Maltese, Yorkshire Terrier. Medium: 100cm x 70cm x 10cm. Suitable for medium dogs such as: Scottish Terrier, Cocker Spaniel, Border Collie, Staffordshire Bull Terrier, Beagle. Click here to go to the medium size option. Petlife is a premium brand known for producing a range of high quality pet products. The Petlife range of innovative solutions takes care of your pet, from collars and leads to bedding and shampoos. Each product is specially designed to enrich the life of your pet and accommodate their every need. Looking for a toy to keep your dog occupied while you’re not at home? Check out our range of premium Kong dog toys. 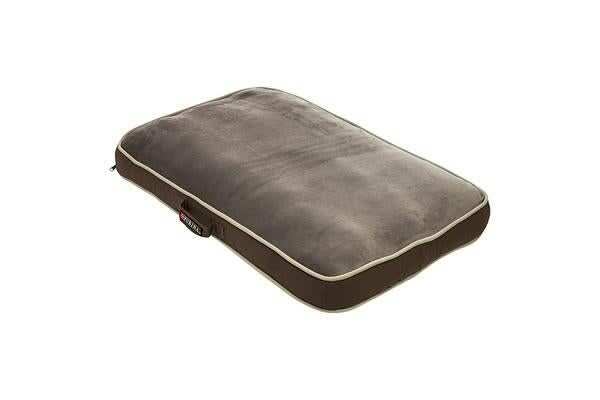 Looking for the best products to keep your dog as clean as possible on their new Petlife Ultra Tough Dog Lounger bed? Check out our range of grooming and clean up products!